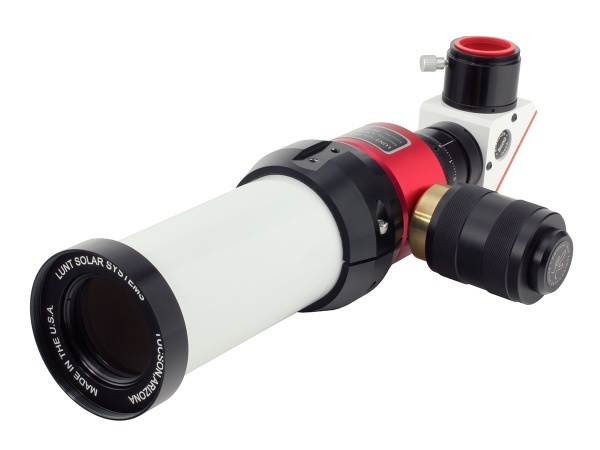 The Lunt LS50THa H-alpha solar telescope features a full 50 mm aperture, 350 mm focal length, and internally mounted Etalon with Pressure Tuner adjustment. 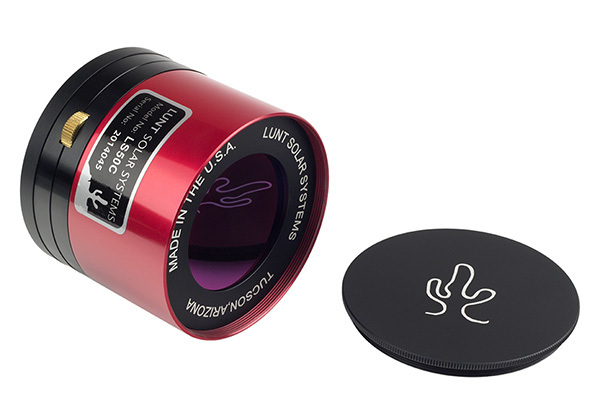 This setup allows for a <0.75 Angstrom so protuberances and surface details can be quickly and easily viewed or photographed using a suitable imaging camera. A new dedicated double-stacking filter for the LS50THa telescope will also be available lowering the bandpass to <0.5 Angstrom! A transport case is available as optional accessory.